Sierra's founder is the legendary Chuck Wright. Chuck built his first pedal steel in 1948. Steel players and builders quickly recognized him as an innovator with some serious playing and design talent. His Wright Custom instruments became well known for quality, playability, serviceability and tone. 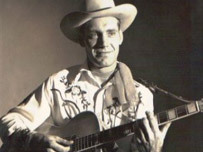 From late 1955 until 1960 Chuck threw all his knowledge and experience into the design of what would become the first Sierra Steel Guitar, which he built in 1960. At this time he began working with Standel for the distribution of his new Sierra guitars. The Sierra name was inspired by the rugged and beautiful Sierra Nevada Mountains that Chuck could see from his home in Red Bluff, Ca. Chuck was always on the hunt for ways to improve his products. Of special note is Chuck's early use of extruded aluminum parts and bodies. This greatly streamlined the production of Sierra guitars while at the same time improving product consistency and durability! Under his direction, Sierra steels received constant improvements. Some of these changes were incremental; while others were major changes like Sierra's unique all pull changer, folding legs, modular pickups, precision machining and many more. There is no doubt that Chuck Wright's career has helped inspire the evolution of the pedal steel guitar. For more info and a whole bunch of great pictures, be sure to visit the website of Chuck Wright's son David at: http://davidwright.us/. Don't miss a chance to see David play steel guitar, he rips! 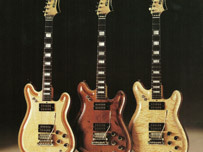 In the early 1970's, Chuck dropped the Sierra name and went back to producing Wright Custom Guitars. After taking on partners in 1974, the Sierra name re-emerged and the company relocated to Oregon. 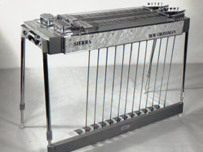 In 1976 the Sierra Steel Guitar Company was sold to Don Christensen. In his 1997 Steel Guitar World interview, Don points out how fortunate he was that Chuck Wright had left him a very advanced steel guitar design. He goes on to say that nearly every part of Chuck's original designs got tweaked and optimized over the years. Most improvements and major changes he made were based on customer feedback and the changing needs of the best players of the day. Don wasn't a player himself so he listened closely to his customers when they asked for things like change locks, wheeled cases or a changer that didn't allow a broken string's ball end to fall into the changer mechanics. Don's attention and response to customers' needs continued to build on the great foundation and reputation that Chuck Wright worked so hard to create. Don's dedication to manufacturing as many of Sierra's parts and assemblies as he could in-house, gave him greater flexibility and shorter response time when addressing customer needs and making design changes. It also offered enhanced quality control when compared to using several different vendors for all the bits and pieces needed. Don felt that this was an aspect of Sierra that set the company and its products apart from other steel brands. Sierras have always incorporated beautiful, precision-machined parts. To improve flexibility, response and overall quality even further, Don was an early adopter of CNC machining for Sierra's products. Steel guitars were not the only thing on Don's radar. In 1984, Don brought Gene Fields, another industry legend, into the company. Gene and Don set forth to design, build and market a line of standard electric guitars utilizing Gene Field's well known design talents. Unfortunately, this project was short lived due to a lack of funds necessary for success in that very competitive market. Around 1990 Don was inspired by a conversation between himself and the late George Lewis (founder of George L's). Together they talked about the tone and sustain benefits of a longer scale than the standard 24" or 24.25". Strings take a beating on pedal steels. With a standard key head it is just about impossible to get that pesky high G# string to survive being stretched at the higher tension of a longer scale. Don's answer to this mechanical conundrum was the keyless tuner. Besides helping solve string breakage problems associated with a longer scale, it also facilitated a shorter instrument, offering less weight and more space on stage. To some, it also provides superior tone and sustain, more accurate tuning and fewer false harmonics. The 25" scale Sierra Crown guitar was born. Like his predecessor Chuck Wright, Don's quest for improvement never ended. A couple of years after the introduction of Sierra's innovative Crown series, Don sought the input and ideas of none other than "The Big E", Buddy Emmons. This successful collaboration resulted in the Sierra Session model. Don's desire to fulfill the needs of new players was the catalyst for the landmark Sierra Artist model. Introduced in 1997, the Artist was the most advanced "entry level" steel guitar ever offered. Two years later, Don, collaborating with long time employee Tom Baker, designed and introduced the Sierra lap steel guitars. After 25 years of producing Sierra Steel Guitars, Don decided it was time for retirement and sold the company to Tony Williams in 2001. Tony faced some financial difficulties with bankruptcy as a result. In late 2003, long time Sierra customer (14-string universal player extraordinaire), Ed Littlefield, Jr. rode in on his white horse and rescued Sierra from obscurity. Ed hired Tom Baker to keep Sierra up and running. Ed had already worked closely with Tom during the building of his Rob Girdis appointed custom Sierras. Those that see these fine guitars consider them to be amongst the most beautiful pedal steels ever built. Since being hired by Ed, Tom has been splitting his time between his duties at Sierra and acting as support maestro for Ed's band, Marley's Ghost, on its busy touring schedule. It was the fall of 2010 when Ed, Tom and Ross decided it was time to put some new life into Sierra by diving into research and development on a new Sierra pedal steel. And now in 2017, the seed that was planted then, has now blossomed. Sierra is ready to resume building fine pedal steel guitars!